The castle lies at the southern outskirts of Rudersdorf and was founded in 1750 by Count Emmerich Batthány. 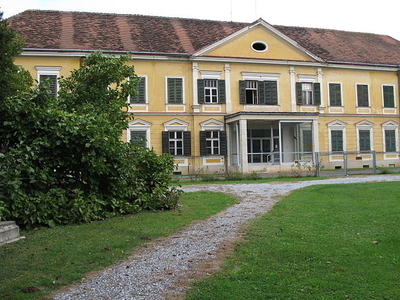 The building was a former feudal estate with a ground-level manor house. In 1890 two angle towers were added. In 1917 the castle was bought by the merchants Karl and Hermann Sattler; since 1920 the weaving mill can be found in the castle. Here's the our members favorite photos of "Castles near Jennersdorf". Upload your photo of Schloss Rudersdorf!